I'm going to be building a few bikes from scratch soon (1 at a time), so I'm looking for a work stand that grips the top tube/down tube and can rotate. 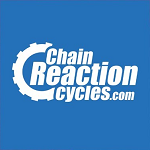 I had a look at a few and there is alot around the $400-$500 mark, but I don't have any experience with them as I've just built bikes on the garage floor in the past. Whats some good ones to consider? Feedback sport if you want something transportable. I got a Park Tools PCS 9 from my LBS for $180 which does those things (prolly $165 from CRC) is great and would give money for more tools or beer. Buy cable cutters I've got all kinds of pliers and wire cutters but none are right and I've ruined a cable trying! shmoodiver wrote: Feedback sport if you want something transportable. This. Oli and musket recommended me the same and its really good. I thought the frame holding stands would be inadequate for 29ers until I saw the Feedback Sports Sprint - going by the brand, it looks like it will be a good quality stand, and since it also does 20mm axles, it looks like its very versatile too. So far it looks to be the one I will buy. Often on another forum I frequent, it comes down to Park vs Feedback Sports, with Feedback generally winning. I've had the old Ultimate (which is now the 'Classic' I think) and have just switched to an Ultimate Pro or whatever the top one is. Park do make such a wide range of stands, some of which are really good ... some of which are pretty average. If going Park, then you really need to check reviews for that specific model of stand. Feedback makes really nice stands. The Classic had a wider base than the new one, which I miss a little. The Ultimate Pro has a better clamp though, with one button operation to open the jaws right up. A friend has the Sport, which he's very happy with too. They sell spare parts direct if you ever need any too. Price was about $NZ250 ($US190) at current exchange rate (+ shipping to nz. I bought mine in the US, where I will be using it, so shipping was free). A few places have a package deal where you get the padded bag with it for free, which is what I got. There is a work tray option too, and I have had one previously which I liked. I'll probably grab another at some point. I've used the cheap torpedo stands, and really found them to be frustrating. Unstable and a laborious clamping mechanism. I've been using one of these for nearly a year. Good stand. Buy it. foremannz wrote: I thought the frame holding stands would be inadequate for 29ers until I saw the Feedback Sports Sprint - going by the brand, it looks like it will be a good quality stand, and since it also does 20mm axles, it looks like its very versatile too. So far it looks to be the one I will buy.